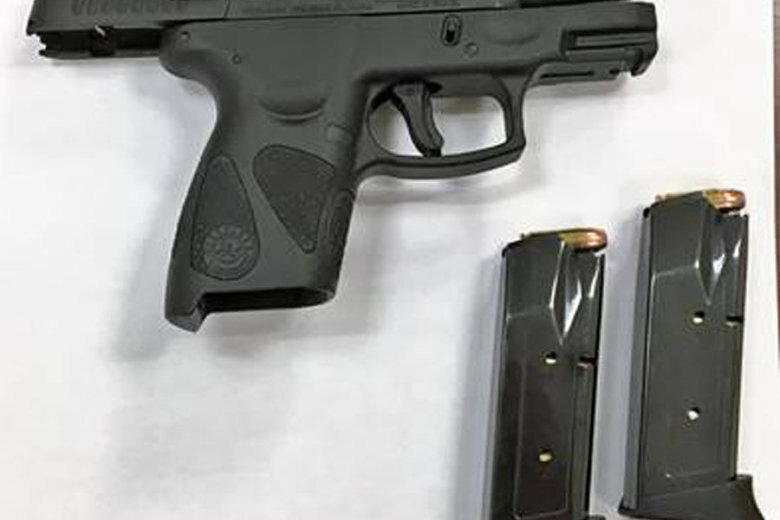 Transportation Security Administration officers stopped an Alexandria, Virginia, man with a loaded handgun at a local airport’s security checkpoint Aug. 13, according to a news release. WASHINGTON — Transportation Security Administration officers stopped an Alexandria, Virginia, man with a loaded handgun at a local airport’s security checkpoint Aug. 13, according to a news release. TSA officers at Baltimore Washington International Airport detected a 9mm handgun with 13 bullets, including one in the chamber, in the man’s carry-on luggage when it went into the x-ray machine. There were also two magazines with another 12 bullets apiece in the luggage. This is the 18th gun caught at BWI so far this year. Last year, 26 firearms were detected at the airport’s checkpoints. The man told TSA officials that he forgot that he packed the loaded gun in his bag. TSA stopped the man and contacted the Maryland Transportation Authority police. The police confiscated the gun and ammunition, and arrested the man on weapon charges. TSA closes the checkpoint lane until the situation is resolved when someone brings a firearm, forcing other travelers to shift into another lane and delay their time through security, officials said in the release.